The RASACUT SK saw was developed to separate short work pieces starting from 20 mm length with high precision and output. It is designed for fixed lengths of 20 to 150 mm. The RASACUT SK is a compact short tube saw for small and large series in three shift operation. In contrast to our other models, it is often used to cut bulk material. Areas of application are the manufacture of sleeves and spacer bushings or the manufacture of rubber-metal connectors, e.g. as stablisors for chassis. With short dimensions, tube handling and smooth, reproducable de-burring constitute special challenges. RASACUT SK is a reliable solution that improves work process and quality– not just for sawing, but also for de-burring. Length changes in less than 1 minute. Quick format change in fewer than 5 min. Easily accessible saw blade. Replaces in less than 1 min. Database referenced to work pieces for optimal deburring performance, no programming. 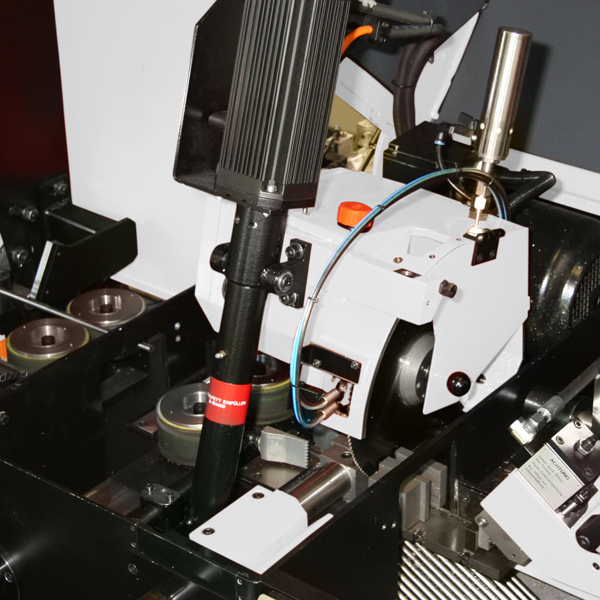 Better cut quality through variable advance on starting and ending the tube cut.